The hotel is a haven for a tourist during an unforgettable trip, where you can relax, take a breath, gain strength for new vivid impressions. LLC “Elite tours” will pick up for you a hotel in Uzbekistan that will meet your requirements, tastes, provide high-quality service and provide maximum comfort. Today, Uzbekistan hotels offer a level of comfort from 2 to 5 stars. Of course, most of them are concentrated in popular cities among tourists, such as Samarkand, Bukhara, Khiva, Kokand, Margilan, Shakhrisabz and Tashkent. You can find both modern luxury hotels, and small, cozy, where you can feel the warmth of the home. The capital of Uzbekistan is the city of Tashkent – the cultural and business center of the country. 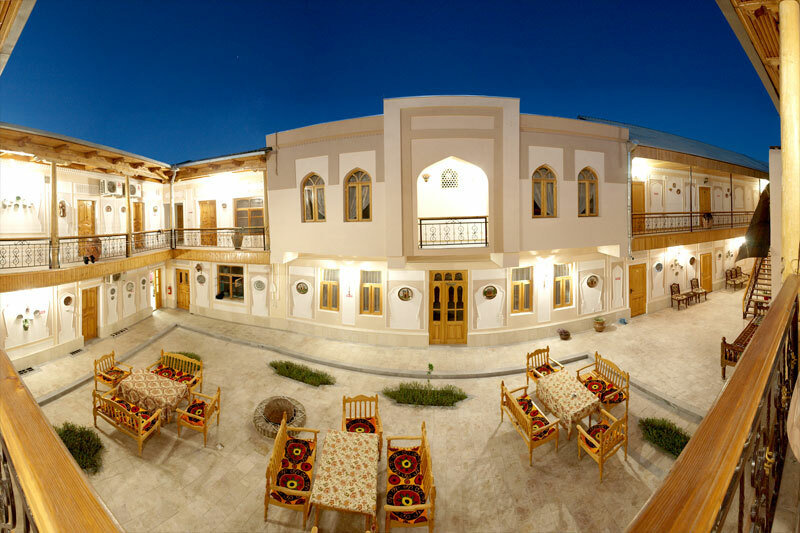 Not surprisingly, it is here that the largest and most beautiful hotels of Uzbekistan are concentrated, two of which are classified as “5 stars”. These are the world-famous International Hotel Tashkent and Miran International. For fans of a quieter and quiet environment, small and very comfortable hotels are scattered around the city. The hotel infrastructure of Samarkand deserves special attention. Some hotels, for example Asia Samarkand, are located directly near the sights, literally hundreds of meters away, which often provides an excellent view from the window to the ancient architectural monuments. The design and elements of the interior, made in the national style by skilled craftsmen, amaze with their beauty. Naturally, in restaurants you can enjoy amazing national cuisine. A similar feature can boast hotels in Bukhara. Zargaron Plaza is a 4-star hotel located just 800 meters from the old town. This means that the unique ancient buildings are only a short walk away. In the majestic city of Khiva, several hotels will delight visitors with their location inside the ancient fortress of Ichan-Kala and around its powerful defensive walls. This creates a special atmosphere of this exotic. To plunge into the unknown, mysterious, enticing secrets of the past, without worrying about comfort and coziness, Elite tours will help you by selecting the most suitable hotel for you.